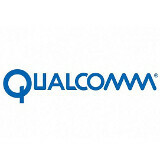 Qualcomm's subsidiary, Qualcomm Atheros, has introduced a new NFC chip, which is said to be smaller and use much less power than current-generation chips. The new chip, called QCA1990, will make its way to customers (meaning device manufacturers) in the first quarter of 2013, and is expected to arrive as part of commercial devices some time in the third quarter of next year. The QCA1990 will have a 50% smaller footprint than today's NFC chips. Even though the power lost due to NFC operations may not be that significant today, it is believed that it will be in the future, as NFC is expected to become a more important part of our digital lifestyles. That is way Qualcomm is especially proud of its efficient algorithms that make its new chip demand extremely low amounts of power in order to work. Are you guys using the NFC capabilities of your smartphones? Power management will be the name of the game now!